Teresa Hubbard joined the “1000 for Local 1000” challenge because she is ready to make a stand for herself and her coworkers in her workplace. By joining a Worksite Action Team (WAT), Hubbard and other 1000 for Local 1000 member leaders are gathering strength and creating a solid organizing structure that will put pressure on the state to take our demands seriously as we bargain the 2016 contract—and beyond. Hubbard, a steward who works as a Program Technician at State Fund, says she took the 1000 for Local 1000 challenge because she knows building power is going to be key to getting the best contract possible. Already, hundreds of Local 1000 members are joining WATs. They’re committed to increasing communication among their fellow members and building a team of activists ready to mobilize in support of a fair contract. 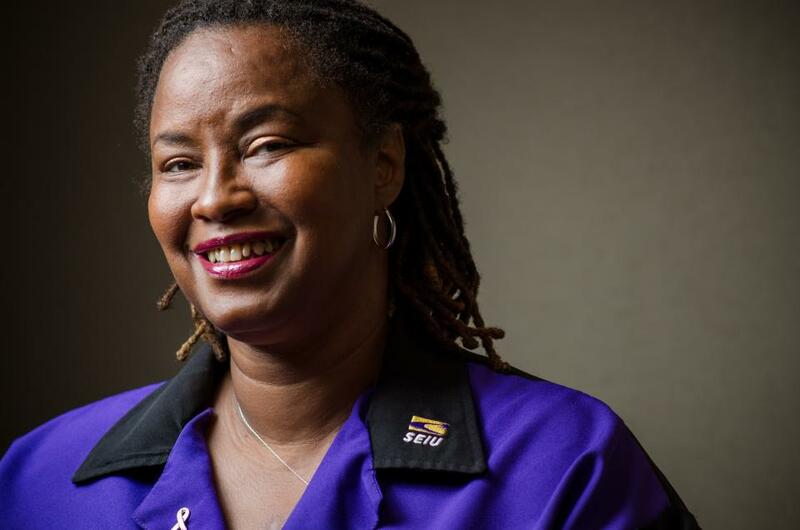 Local 1000 President Yvonne R. Walker agrees that member unity is crucial, saying “The only way we can achieve our demands is to stand up and fight for them in every worksite.” And, Walker points out, the power put in place by WATs will serve our members long after the 2016 contract is signed.